Families living in and around Chicago have a nice array of kid-friendly getaways within a day's drive, with possibilities stretching from Wisconsin to Ohio. These popular suggestions can all be reached in six hours or less, based on the estimated drive time from Mapquest.com. Surprised to find an Amish enclave in Indiana? In Elkhart, tiny Nappanee and surrounding towns, you'll pass Amish farms, see horse and buggies on the roads, and find homemade quilts, pies, and jellies at local markets. An easy 90-mile Amish heritage loop connects seven Amish communities, making for a lovely, bucolic road trip for a day. Drive time: 2 hrs, 17 mins. The water park capital of the world is only a few hours drive from Chicago, offering over a dozen kid-friendly attractions where you can cool off with water slides, lazy rivers, wave pools, splash pads and more. This is a year-round destination, as many Wisconsin Dells resorts offer indoor water parks. Drive time: 3 hrs, 9 mins. Wilderness Hotel & Golf Resort may be best known for its 500-square-foot waterpark yet it's also one of America's Best Family-Friendly Golf Resorts with an 18-hole championship golf course and a 9-hole family course with junior tees to help build the game of golf for young golfers. It also features zip lines, mini-golf, go-karts, lazer tag, a ropes course, and a spa. Step back in history at Conner Prairie in Fishers, Indiana, where an interactive 19th-century village called Prairietown lets you visit a one-room schoolhouse, check out a general store and interact with locals in period dress. You can also visit a Civil War-era village and witness a battle re-enactment, then explore the large Swiss Family Robinson-style tree house called Treetop Outpost. Drive time: 3 hrs, 16 mins. The Mother Road begins in Chicago, and you can soak up iconic sights of vintage Americana all the way to Los Angeles or anywhere in between. For an easy getaway from Chicago, head about four hours to Litchfield, where you can check out iconic Route 66 attractions such as the Ariston Cafe and Belvidere Cafe, Motel & Gas Station. Drive time: 4 hrs, 2 mins. The Mississippi River town of Hannibal, Missouri, is synonymous with Mark Twain. This charming town has embraced its place in American history and is especially interesting for kids who have discovered the joys of Tom Sawyer and Huck Finn. You can visit Twain's boyhood home and famous whitewashed fence, and experience the Mighty Mississippi aboard the Mark Twain Riverboat. Drive time: 4 hrs, 33 mins. Michigan's breakout destination is underrated Detroit, whose famed zoo is home to the world's largest penguin exhibit. It's the perfect excuse to explore the Motor City's excellent array of family-friendly attractions including the ​Michigan Science Center. Drive time: 4 hrs, 39 mins. With its iconic Gateway Arch and impressive roster of free kid-friendly attractions, St. Louis makes for a fun and affordable getaway for families. 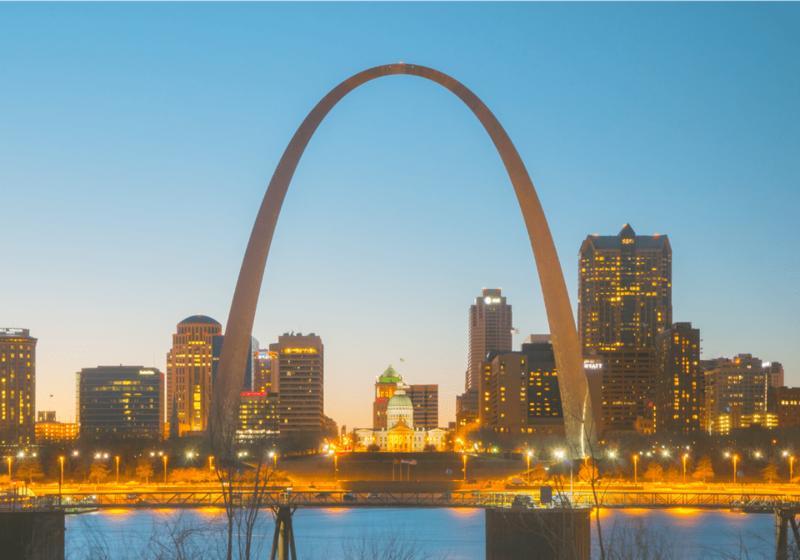 Don't-miss attractions include the Gateway Arch, St. Louis Zoo, and St. Louis Science Center. Drive time: 4 hrs, 45 mins. Looking for an affordable fall getaway in the Midwest? You'd be hard-pressed to beat Traverse City, in Michigan's "True North," which TripAdvisor.com named as one of America’s Top 10 Fall Foliage Destinations. Families have an extra reason to visit from September through mid-December thanks to a city-wide Fab Fall promotion. Drive time: 5 hrs, 11 mins. Ohio's only national park preserves and reclaims the rural landscape along the Cuyahoga River between Akron and Cleveland. Twenty miles of the historic Ohio & Erie Canal Towpath Trail makes up the major trail through Cuyahoga Valley National Park. Drive time: 5 hrs, 31 mins. Drive time: 5 hrs, 45 mins.